It was a hazy day in Bridgewater, Massachusetts, an unremarkable street corner. Nothing special happened. The picture is 5x8 inches, watercolor with white gouache over pencil and brown fountain pen. Related thought: Kurt Vonnegut reflects on why we expect drama from life when not much really happens. This is very educational content and written well for a change. It's nice to see some people still understand how to produce a quality post! Scorchfield, you're right! And if the drivers can't see them either, something dreadful might happen in Bridgewater. Christin, Thanks. Well-written educational high-quality posts are my specialty. Something DID happen: you immortalized that moment! house with your finger, as it is the key spot that tells you the direction of light. i know exactly where this is! its such a small world. Love the soft, pearlesque light. I've heard that gouache can flake or crack over time; has this ever been a concern? Laura, I suppose if it was caked on really thick it could, but this is quite thin. Commodore: That's one of the things that amazes me about the internet. Nothing is obscure. John, I'm glad you noticed that. It's the only pure white in the scene. I completely disagree with your assertion. 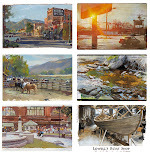 Something special is always happening when James Gurney is painting in his sketchbook. Vonnegut's second fairy tale and his real life graphs start and end the same way -- neutral at the start, a little better than that at the end. Very optimistic. I was serching how to contact you.and I found your blog! i am not good at english so maybe I write down things hard to understand..well at that time please forgive me. Thank you Tsuji, that is so nice of you to comment. 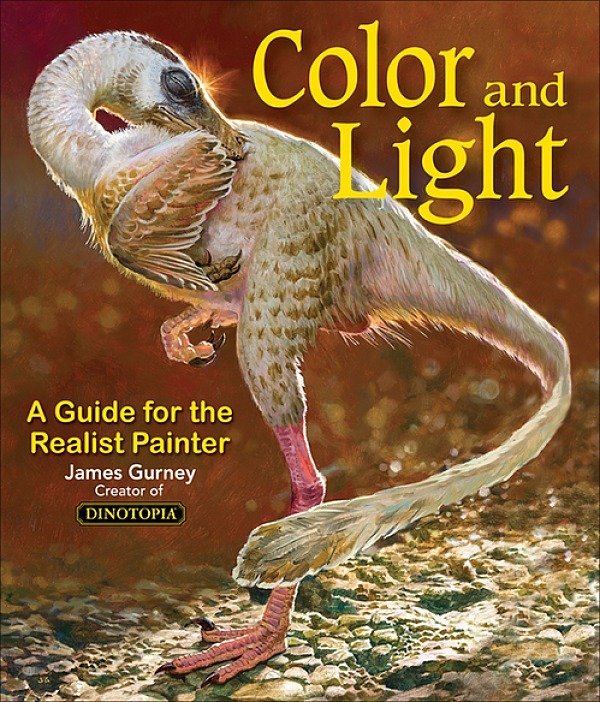 Have you seen the Japanese editions of my art instruction books, Imaginative Realism and Color and Light? Your English is good! I lLike the use of white. That is interesting as so few artist use white as a glaze, that is to achieve the effect of a misty day or the blush on a persimmon or a plum. 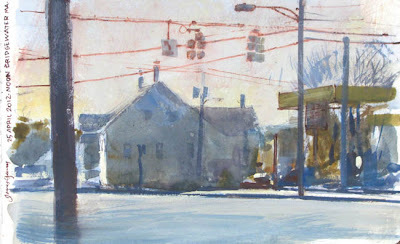 as with watercolor you have to have just the right amount of pigment on the brush for it to work, that is look real.